Congratulations to the Jack O’Sullivan winning team who won the Jack O’Sullivan trophy for the first time in the history of the club. Winter League information 2018 please click link below. The Open weekends have commenced at Mulranny GC. Please click below for further information. Enjoy a fantastic links challenge for only 15 euro winter daily rate or 50 euro for a fourball. 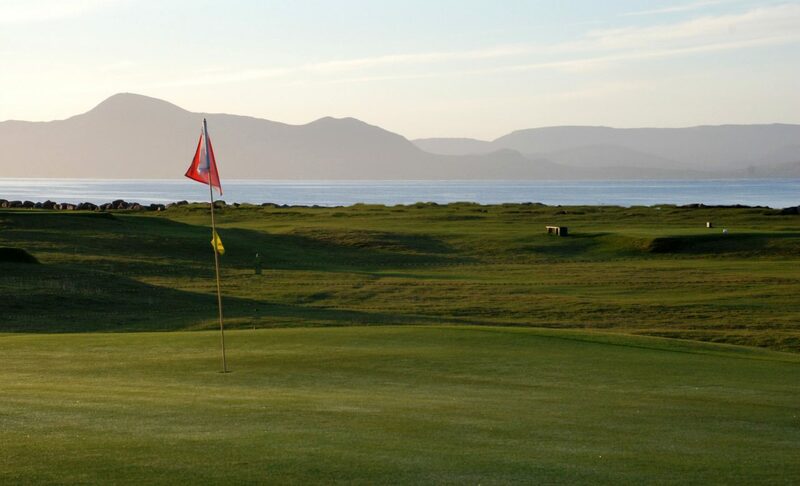 Mulranny Golf Links is a wonderful nine-hole course set on the shores of Clew Bay in Mulranny Co Mayo. On a fine day it boasts fantastic views of Croagh Patrick and Clare Island as you look across Clew Bay.Each of the nine holes have unique features which pose different challenges to all categories of golfer. Please click on the form below to download an application form. Competitions and coaching will be organised for adult beginners and juveniles during the year, dates will be posted in the club house and on the website.